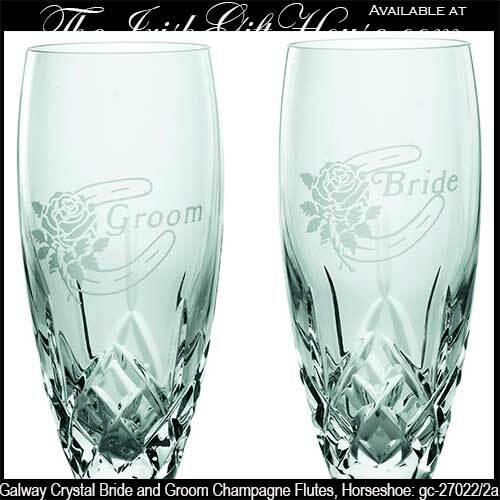 These bride and groom wedding flutes are made of 24% leaded Irish crystal and feature a cut design along with an etched horseshoe and rose design. The horseshoe champagne glasses are perfect as toasting flutes for any celebration including weddings. The pair of Galway Crystal glasses measure 10.4" tall x 2.8" wide at the base and 3" wide at the rim. An Irish wedding tradition is for the bride to carry a horseshoe for good luck. 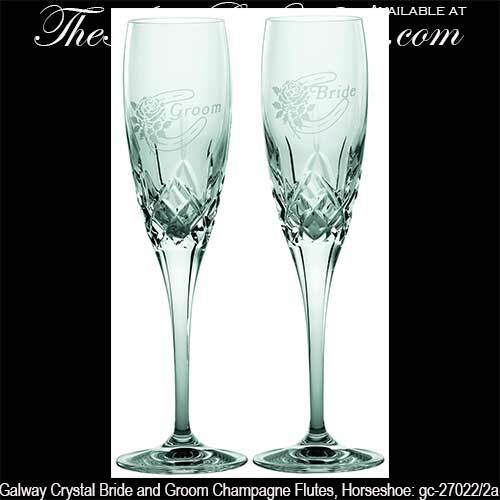 Irish champagne flutes are cut from fine crystal that is enhanced with an etched Celtic Trinity knot.